The movie star will be filming scenes for the upcoming film ‘Oppenheimer’ in Jerusalem, as well as meeting with the former President Shimon Peres and his center’s Young Ambassadors. 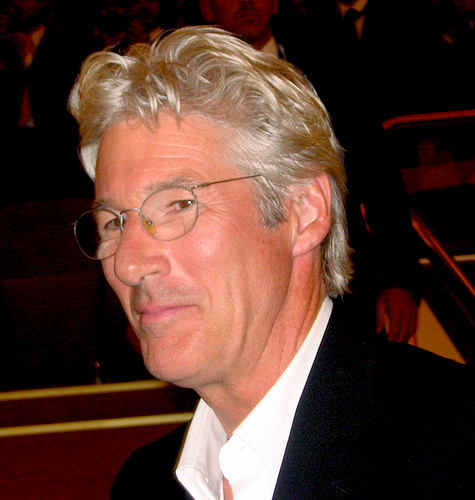 Film legend Richard Gere is set to cause a ruckus around the Holy Land, including in Jerusalem and Tel Aviv, as the star arrived Monday for his first visit since 2009. Despite the early hour — he landed at Ben-Gurion airport at 5:30 a.m. — Gere managed to cause a commotion among the lined-up hotel staff at Jerusalem’s Leonardo Plaza hotel, where he will stay in the glamorous 22nd-floor presidential suite that has also hosted the likes of Natalie Portman and other famous names.